Ski patrol dogs are used to chaos. In fact they even thrive on it. They're trained for years to know how to thrive and remain calm when everything around them is going wrong. Ski resort avalanches and search-and-rescue missions are a rare occurrence, but when they do happen it is imperative that the ski patrol be prepared for just about anything. That's one of the reasons the patrol at the Alyeska Resort in Alaska's Chugach mountains has three certified dogs on its staff. Without these animals, it would be nearly impossible to detect where survivors are buried beneath the snow and ice. Visit this family-friendly mountain during the winter months and these canines will be hard to miss. You'll see them frolicking outside the ski patrol station or cruising down the mountain with their owners. The mountain currently has five dogs on staff - three that are certified and two puppies in training. 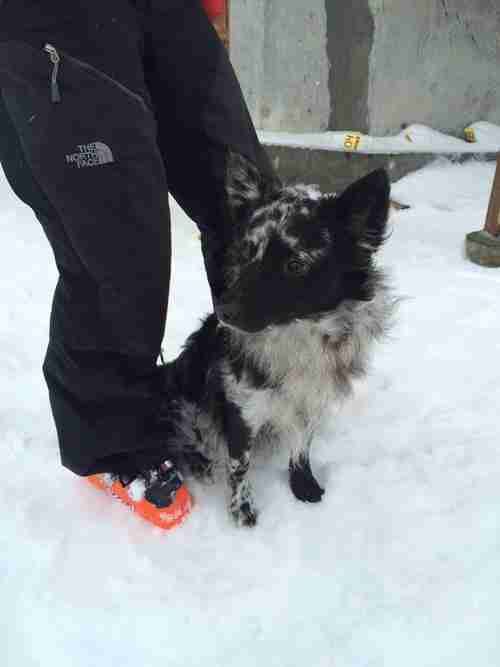 During Yahoo Travel's recent visit to Alaska, we met Kilo, one of the ski patrol pups in training. We spent the day together to find out exactly what it takes for a dog to become a hero. The ski patrol humans here each owns his or her own dog, which means the animals come home with them at night and get to behave like regular pets when they're off-duty. Kilo is Alaskan by way of Hungary. 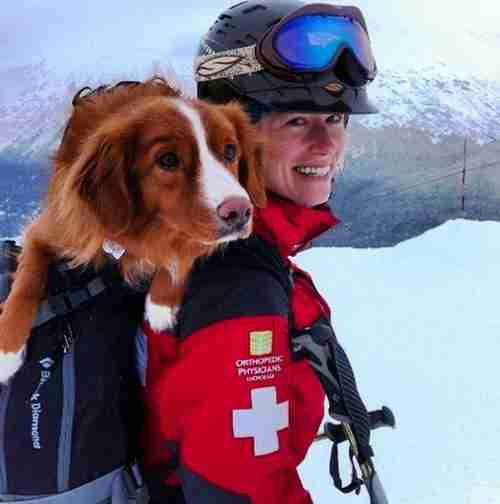 Patroler Stacie Lordan wanted to try something a little outside the box with her new ski patrol pup. She began searching for small working breeds and came across the Mudi, a rare type of medium-sized herding dog. Through the Mudi Club of America, she met a Hungarian woman who had previously used the breed in search-and-rescue operations. "This woman told me that Mudis have a lot of drive. They need jobs. They can be a nightmare if they don't have a job," Lordan explained to me as Kilo barked furiously at the falling snow, eager to be given something, anything to do. "She said if you teach a Mudi his job, he will do it, and he gets more excited about doing it than anything." That led to an introduction with a breeder in Hungary, a long plane ride from Alaska to Europe and a train trip to a village about two hours from Budapest to meet Kilo. 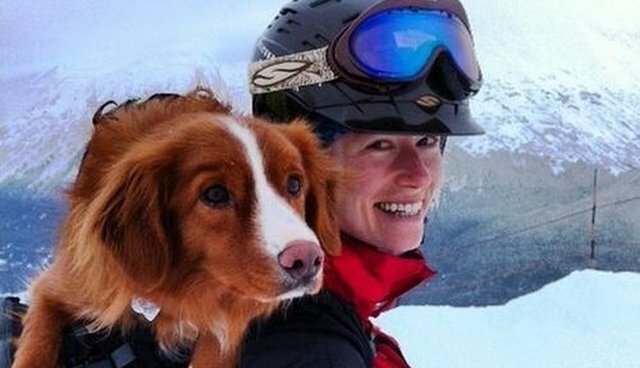 Most people assume that an avalanche rescue dog looks like the kind of animal that would be cast in an ad for a Swiss cough drop. A Saint Bernard perhaps, or maybe a nice, white husky? But no. Kilo is much smaller and scrappier looking than those stereotypical mountain dogs. With the ears of a fox and the long fur of a herding dog, he is quick, nimble, and hyper-aware on the mountain. Most importantly, he is lightweight, allowing it to ride on its ski patrol owner's shoulders during a rescue mission. "We put them in backpacks. It's easier on their joints not running them all over the mountain," Lordan explained. Avalanche rescue dogs train for two to three ski seasons to become certified, which means that at 18 months old, Kilo is about halfway through his training. That training starts out as a game that gets progressively more complicated. The trainers begin with "Chase the Handler," which proceeds exactly as it sounds, with the handlers encouraging their dogs to chase and find them. 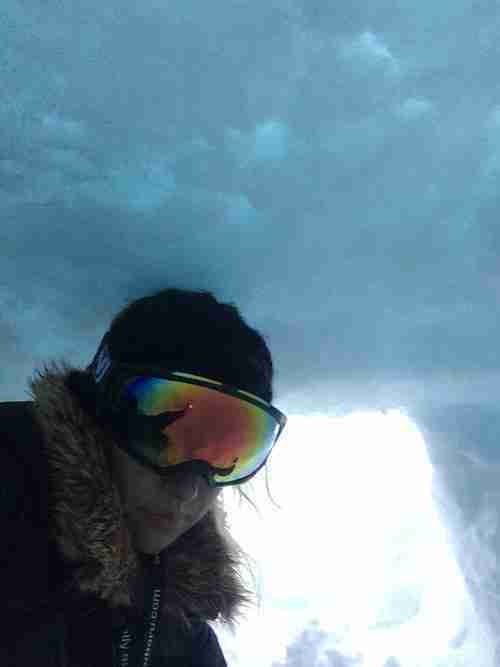 They then begin to increase the challenge by hiding in snow and ice caves and encouraging the pups to find them. Each time the dog is successful, it is rewarded with a toy and its favorite kind of play. Kilo is partial to tug toys, particularly a washcloth with the ends tied in duct tape. "You start slowly increasing the distance that a dog can run and then asking them to find the handler in trickier situations," Lordan said. "You increase the length of the search until it becomes hours. Everything you want that dog to do during a search you teach them in training. "And so they train in some of the worst possible conditions, heavy rain, heavy snow, heavy wind, and intense cold." Kilo seems to love it. He is kinetically excited, almost frighteningly so, until it becomes time to begin "work." As we simulated a practice rescue, with me climbing into an ice cave, he got down to business. That little guy dug me out of my hole in less than 10 seconds. It was so fast that I couldn't even capture it on camera. "No one loves his job more than Kilo," Lordan laughed. "He really enjoys coming to work."